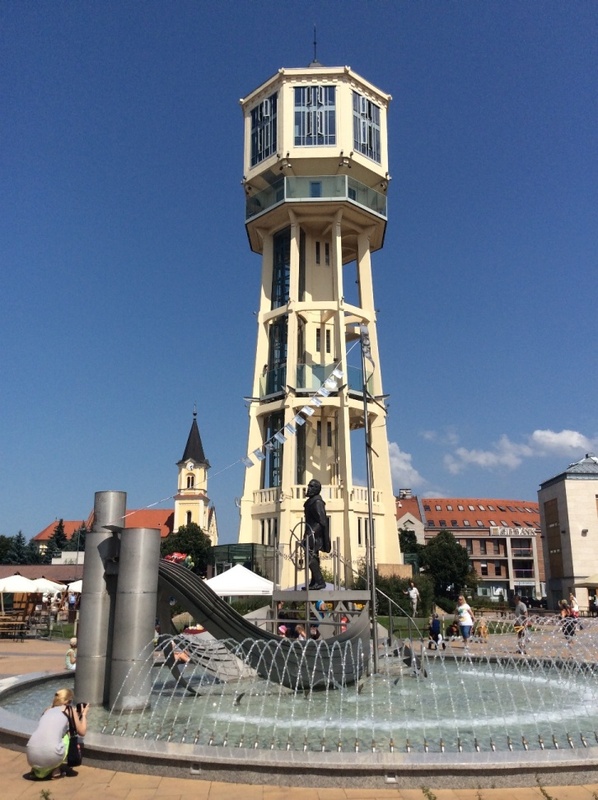 There is hardly a tourist or an expat in Hungary, who have already visited Lake Balaton, but never heard of its most well known town, Siófok. It is called the capital of the summer, has fame, lights, loud music, brown skins, white smiles and aand aaaand real people, actual citizens who doesn’t leave at the end of the summer, who live an everyday life there, on the other side of the rails, ca. 25.000 people. Lets see what type of pubs they have! Siófok has the third rank on the list of the most commercial guest nights in our country, it has the biggest-longest party avenue, called Petőfi sétány almost right on the shore of the Lake Balaton. When I first went there I wasn’t really aware that something like this exist on this level, and I also was thrilled to see what a Budapest standard party life we have there. 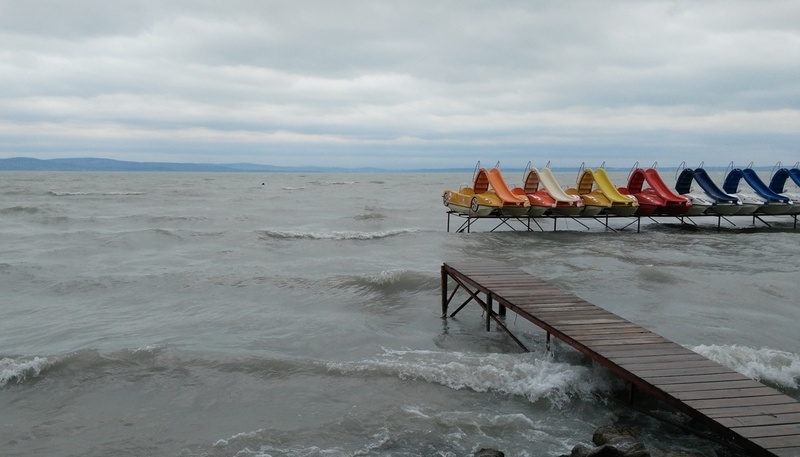 I was familiar only with the smaller towns along the Balaton lake shores. 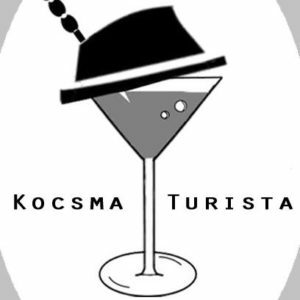 I admit, the avenue is cool, it is fresh and fancy, and really good to have it, but after few occasion there in the last years, I was happy to focus rather on my Pubtourist profile and experience the everyday pubs. I’ve been there on a team building for the third time and previously I have already seen the pretty renovated, award winner main square, other squares, parks, many interesting statues of different kinds and so on. This year I could aim at a quick pub crawl. I secretly escaped my team building from the “golden coast”, got over the rails and started at a random spot. Despite of a July afternoon, the weather was anything but summer-like, it was cloudy, grey, rainy. As if it would be middle of October, a real sweater-time. The starting surroundings fit this distopia feeling. The big road were I started seem to be deserted, suddenly without people, like a ghost town. I had to walk few minutes to feel back again in the civilization of 2016. I found the first pub, right for the start with two names: 1. 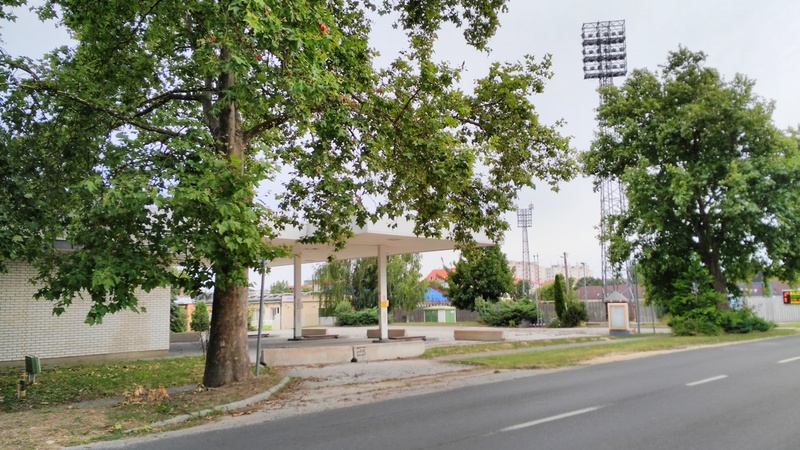 Szöglet (=Corner) was referring to the soccer, related to the close stadion. 2. 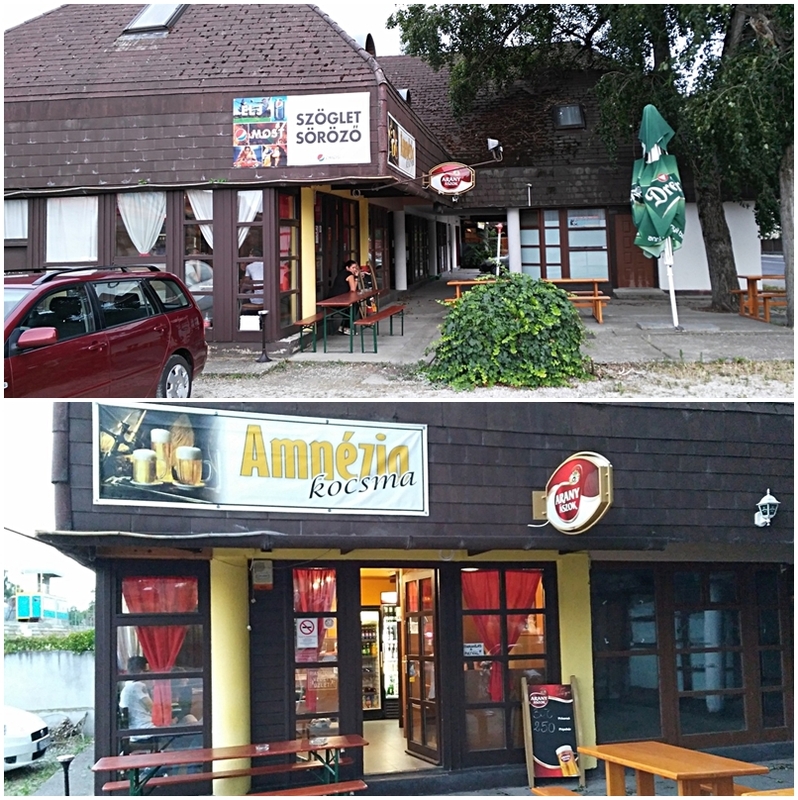 Amnesia Pub – much more funny. But after I went in and talked to the current manager, I found out that soon they will be operating on a third name, Lotto café (<I’m not sure about the spelling). 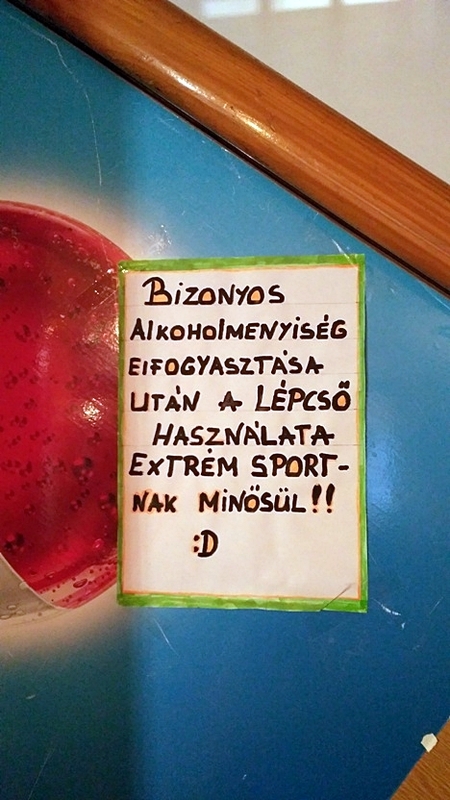 In Hungary is quite common to call small pubs a coffee shop as euphemism. 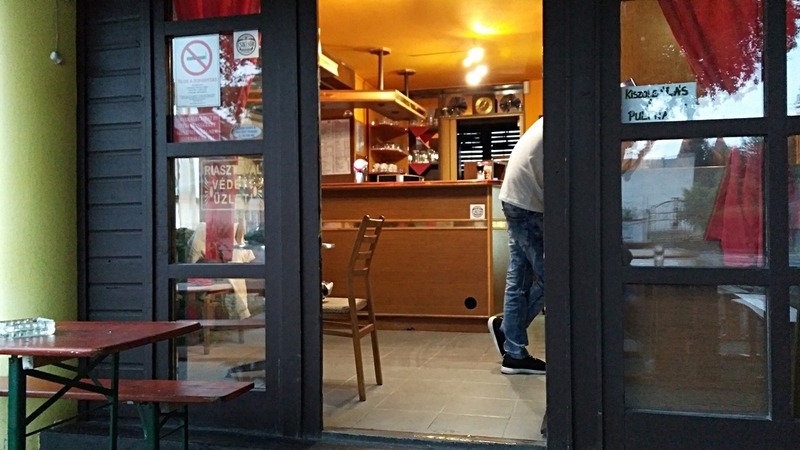 For the same reasons they were frequently called a “presszó” (>short form of espresso) for decades, and it is very funny to see nowadays, what crappy places can be called a “presszó” in Budapest for example. This place wasn’t crappy, but wasn’t a coffee shop either. Lets give it time of course, but the lady answered me that they aren’t going to change a lot, they won’t have more professional coffee either. The other part of the name, the lottery still can be true. They had one type of beer on tap, and as guests a few buddies, who seems to have a friendly relationship with the lady in the counter. I went further to the downtown. At the central bus station as usual, I found a pub. 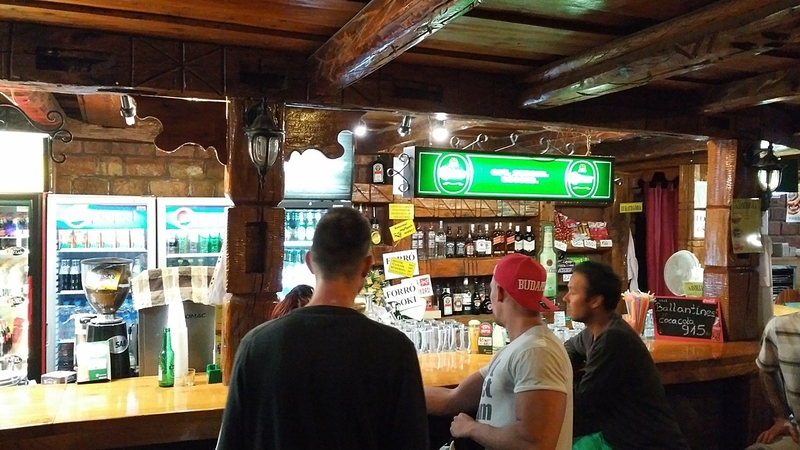 We Hungarian, call them traditionally a “resti” (>short form of restaurant, but during the communist regime, most of them turned into simple pubs). They are basically common right at railway stations, with easy foods, quick drinks. They are infamous for having a low quality in both. But you have to experience them once, they have an own charisma, and they are part of the big picture. 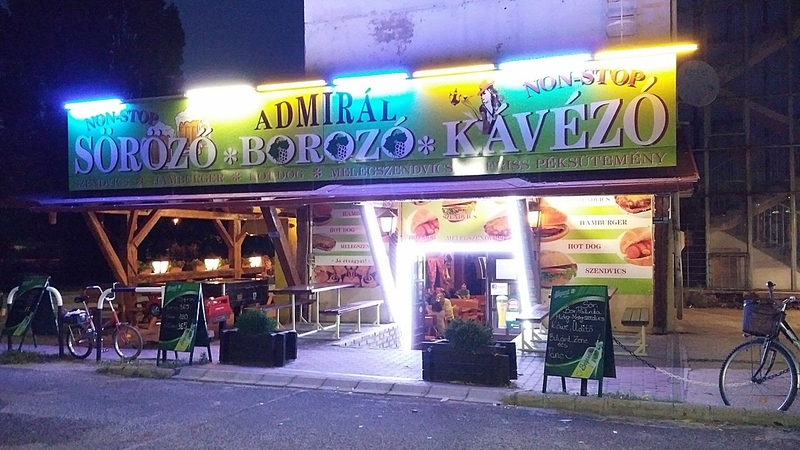 Contrary to the previous pub the bus-resti of Siófok (called the Admirál) had at least three profile written on its name plate: brasserie, wine bar and coffee shop. It was open 0-24, a constant final shelter. Unlike the former place it didn’t have only snacks as pubfood, but some cold and grilled sandwiches, old school Hungarian hot-dog and hamburger. 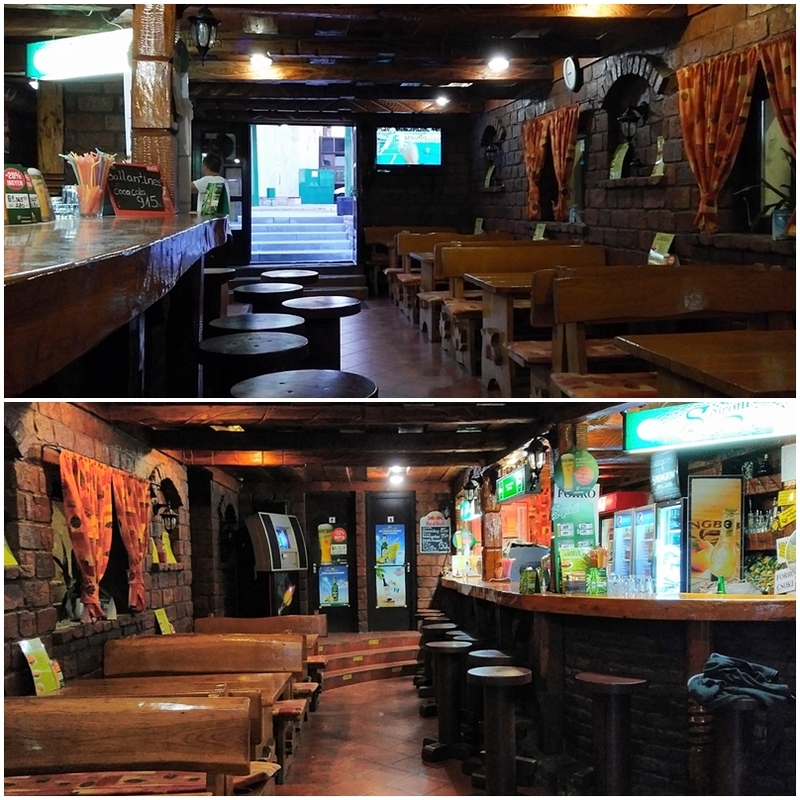 The insides didn’t look like a typical resti, it was much more comfy, with welcoming wooden benches and bar chairs. Also the lady in the counter was very funny and kind. I greeted her by saying: here is everything, but the kitchen sink. – Yes, along with my broom to beat you up – she answered laughing. Soon the place got filled up with mostly middle age guests and also young people who seemingly did the pre-drinking here. I also found an explanation for the previously quite empty interior. 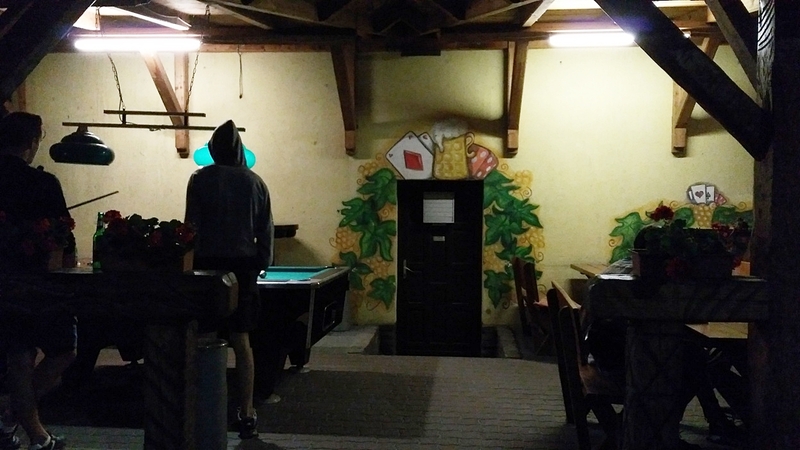 There is a terrace in addition, as big as the inner space, with pub sport opportunities, such as table soccer and billiard. I also witnessed a funny situation here. One of the already drunken customers, a Czech one was about to get a beer mug in self made self service, and he reached for it over the counter and started the domino effect, and pushed the farthest one from the queue down. The previously mentioned old lady jumped for from the totally outside of the room like an Olimpyan and saved it with an easy move. Wow! Right place, right time. Of course neither Admirál is the right place for everyone. Far from it. From one guest of the next day visited Lógó üveg I heard a tough critic of Admiárl. He never would come here. In order to balance this, on the third day, someone said the same about Lógó Üveg in the Kóborló Koccintó, which is the medium level between the previous two. This is how the Pub-Matrix is like. Perfect occasion to divide into casts. I had a good time in all of the places. In the upcoming Siófok posts I will write a review of Lógó Üveg and Kóborló koccintó too. I will name my favorite only at the end.